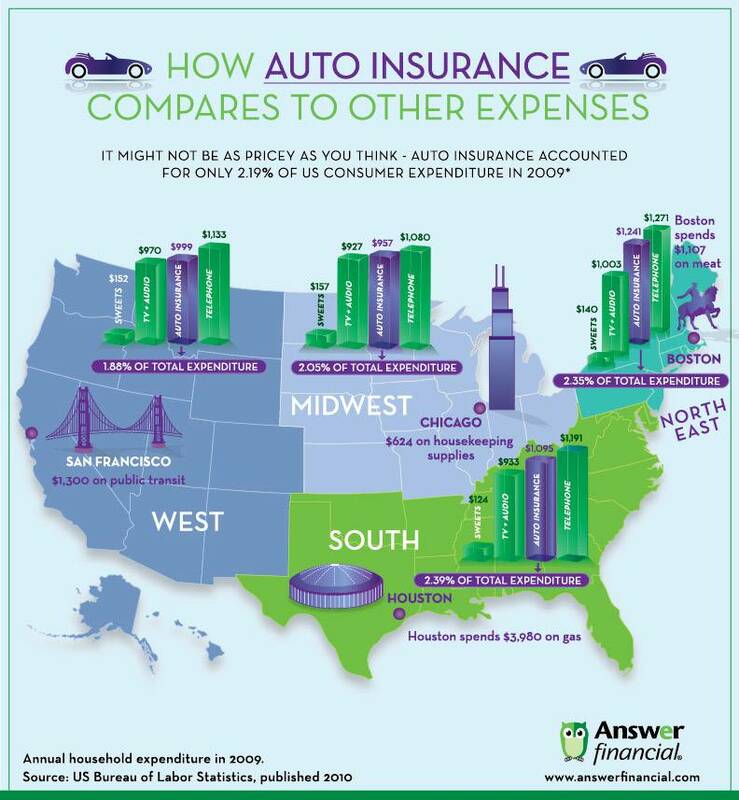 Car insurance can vary by age, because the typical risks involved with each age group vary drastically. Think you’re a great driver, because you’re old and sage? Not everyone would agree. Afraid of teens who always seem distracted? Don’t make assumptions: those kids might be better drivers than the average middle-aged man. Take a look at the infographic below to find out the truth about insurance breaks by age. With summer in full swing and millions of Americans going on road trips, driver safety is never more important to keep at the top of your mind. While kids playing in the backseat, eating in the car and studying maps are all part of the summer road trip experience, they also happen to be some of the most common ways that drivers get distracted and end up in accidents. Distracted driving is one of the most dangerous issues on the road today. 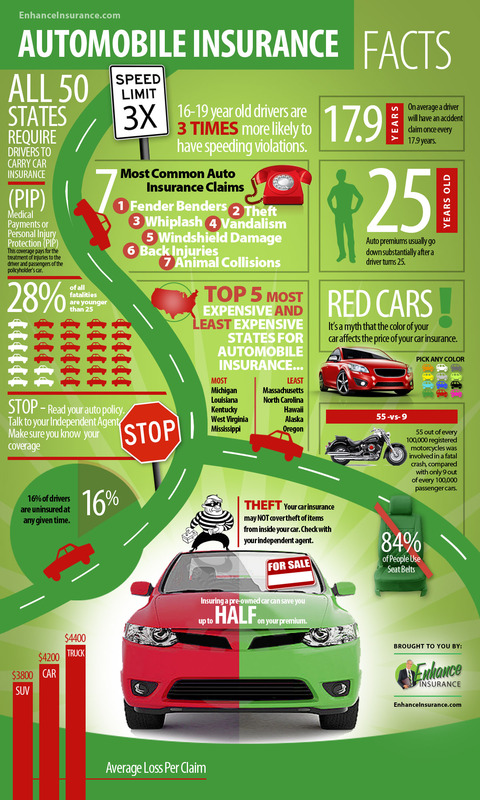 As you can see from our infographic below, in 2009 alone there were 5,474 deaths, and nearly half a million injuries associated with accidents involving distracted driving. 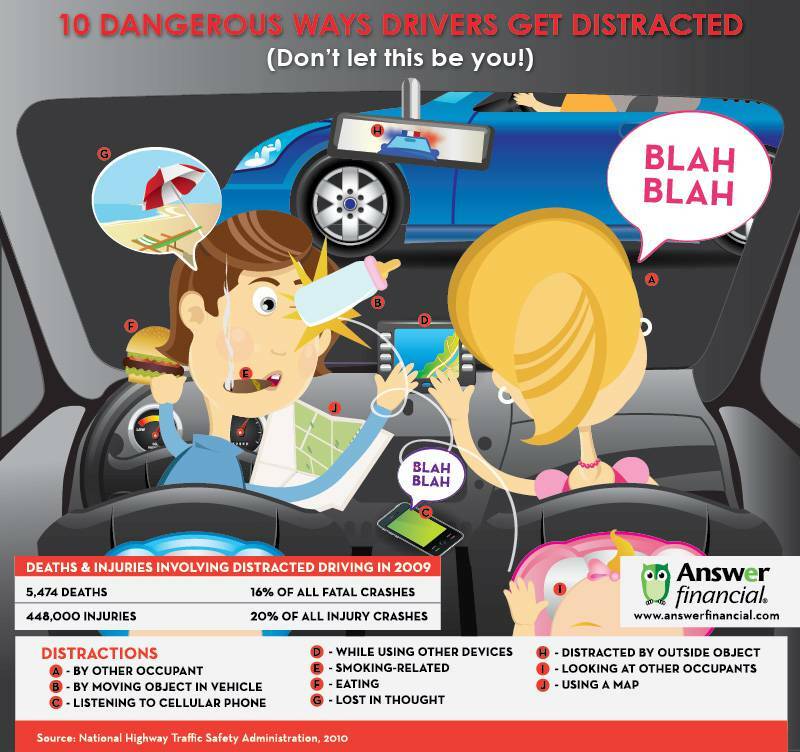 Using data provided by the National Highway Traffic Safety Administration, our infographic depicts ten common distractions cited in accident reports, including “lost in thought”, listening to a mobile phone, and getting distracted by moving objects in a vehicle (such as a flying baby bottle). So, whether you’re on a summer road trip or just commuting to work, please stay safe, remember to keep both hands on the wheel and eyes forward while driving – and don’t let yourself get distracted like the driver in our infographic!